Do you hear the Santa's sleigh bells sound? The holiday season is fast approaching and there are exactly 25 days till Christmas. It is high about time to prepare for the upcoming holiday shopping. And if happen to be in the retail industry, then it is for sure that you know the importance of this time of the year. For online merchants, the Christmas shopping season usually brings in 20-30% of their annual revenue. It's clearly crucial for anyone selling online. Even if you don't have any online presence yet, our guide will definitely help you have the most successful holiday season possible. It is filled with useful tips that every online merchant can use to make their online store sparkle and shine during the busiest shopping season of the year. Prepare your online shop for holiday success. The first steps are most important and they begin directly in your Back office. Even though most people are swiping to buy at the holidays, there is still something about a physical shopping experience that online shopping just can't replace- it is called the human element. Provide your customers the opportunity for personal interaction trough a chat system that will allow them to ask questions and get all the needed information per the product they are interested in, before submitting a purchase. Now is the best time to think about the in stock availabilities per all of your products. For online shoppers, the most frustrating it can be it's to find that the perfect gift they have managed to find is out of stock. Sometimes, it can even happen that the customer has chosen you to purchase from, just because you were the only one who offered the desired product. He has spent hours searching for this present online, to find out that it is not available...again. Enough with the Holiday spirit, huh. To save your customers from feeling disappointed or even annoyed, simply disable product views of out-of-stock items. At the end of the day, no one wants angry customers, right? Everyone is looking for great gift ideas with the approaching of the holidays. Word of month is, of course, a great way to draw new customers to your website. So make sure to allow your customers let their friends know where they have found the fanciest gift on their shopping list! Most of the time this should be used sparingly, however, it works wonders during Christmas holidays. Encourage your online visitors to proceed to purchase button right away by teasing them know that there are only a few items left in stock. Everyone is in a hurry at the holidays. It is of utmost importance for the customer to be sure that their gifts arrive on time, rain or shine. Be sure to provide your customers with the reassuring option of express shipping. One of the best things about online shopping at the Christmas holidays is that as a consumer you can skip all of the street madness with parking, waiting in long cash desk lines, discovering that there is no more festive paper left just as you have just reached the gift wrapping counter. Yes, you can skip that all, but you cannot skip the long shopping list wanting. That being said, online shopping can be as much challenging as trying to manage trough the cluttered shopping center. Online shopping can turn into a nightmare once trying to navigate trough a confusing website. Simplify the buying process even more by offering them the opportunity to check out quickly, as a guest, without the need to create an account. Make sure to simplify the purchasing process by providing your existing, new and returning customers an easy, fun and festive online shopping experience. Show your holiday spirit, by preparing your online shop for the upcoming holidays with a suitable design decoration. Show your holiday spirit- Santa's hat, Rudolph’s red nose, glittering lights- everything is allowed. If you are not ready for a major festive renovations, even a little sparkle or snow on your logo will do the work. When customers are overwhelmed by the long list of people they need to shop for, the huge diversity of different tastes and hobbies- wife, grandmother, child's kindergarten teacher, all they need is a bit of help. Your regular website visitors know how to quickly manage trough your website for sure, but during the holiday season, you'll have to meet lots of new visitors- provide them with pleasant and easy user experience. Try tailoring some Christmas categories to your online product catalog in order to simplify gift selections for your customers. If you offer products that make easy bundles, offer them to your site visitors like “Last minute gift idea, packed with an express delivery option. Now is the perfect time to think about your holiday promotions, winter sales, festive promo codes and special offers. With the upcoming Christmas holidays, given that generic products, prices, and delivery options are so commoditized these days, branding is one of the few differentiators left. Plan ahead! Customers on a tight budget will definitely appreciate having a search by price option on your website. You might also think about grouping certain low- cost items into a separate category called “Christmas clearance” or “Christmas presents under $35”. Now is also the time to really showcase your products with a festive landing page. Why not brand it with a terrific domain name. Add a little sparkle to your shop by registering a .christmas domain under your brand. 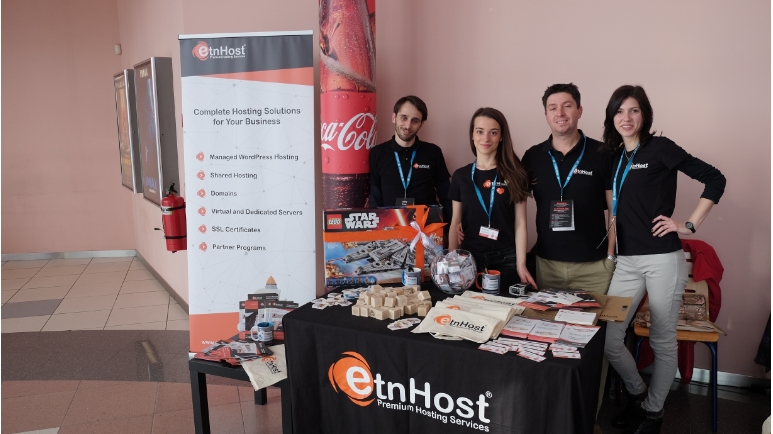 Register it today with ETNHost and get your 50% discount now, use the following promo code during the order: christmaspromo. An increasing number of shoppers are turning to the online stores for their holiday needs. As they begin hunting for the perfect gifts, it’s more important than ever for merchants to have a solid marketing strategy in place to capture the right traffic. Advertising is as important as the sale itself. 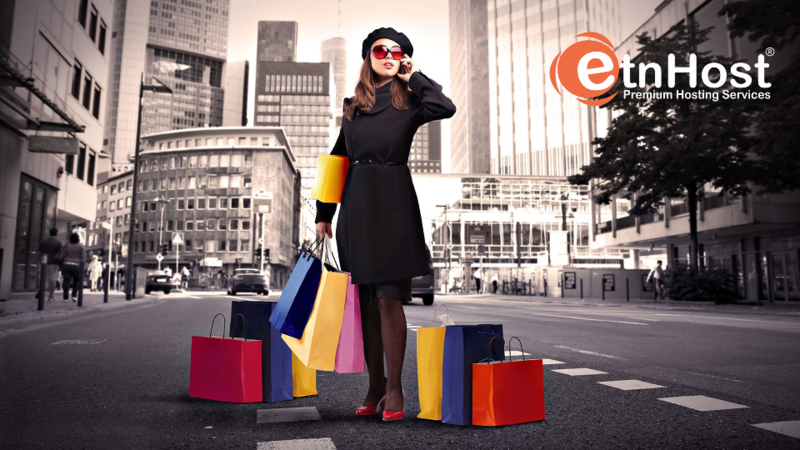 Ensure that every sale is successful by promoting active and upcoming sales through social media, email marketing, banners and all possible channels. While your prospects may wait until the last minute to find the perfect gifts, you shouldn’t wait another minute to start getting ready for the holiday season. Plan your website design on time so you’re not making big changes while the holiday orders start rolling in.